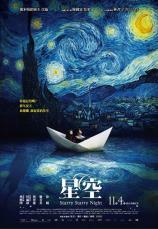 A U.S. movie and Taiwanese movie poster both use the sky of Starry Night by Vincent van Gogh. Independently created? I have seen both movies, and beside the poster, they have nothing in common. Starry Night also inspired Starry Starry Night by Don McLean's, listen to it here. 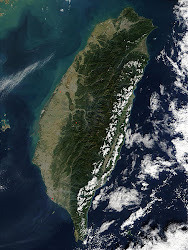 UPDATE March 13, 2012: Jing Gao of the Ministry of Tofu shows that the lack of imagination is not limited to Taiwanese poster makers. See 41 pairs of blatantly copycat posters in China and their originals here. Is it a coincidence? Do they have right to use that picture? I like the , but I don't know anything about the second one. I do not know whether it is a coincidence. Maybe both directors went to the same exhibition and were struck by the painting. Another interesting question is whether a painting that is in the public domain can be used. Something that is in the public domain can become part of a new copyrighted work. The author that created the poster first has done just that. However, the second person that is also using part of the public domain painting in an identical or similar way is infringing the author of the copyrighted poster, if the second person did not create it independently. If this is the case, then only the first person has the copyright, and the second person is infringing upon that right. 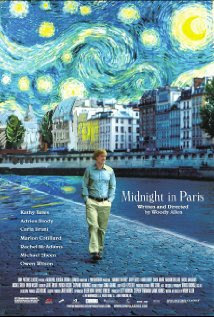 The similarity how the sky of the painting is used in both posters are striking.